An RV park for millennials? As someone in their early 30s, I fall squarely into the “Millennial” generation, which covers people born early 1980s-early 2000s. People are totally confused about how the millennial (and Gen Z) generations are completely different from older generations, and there’s been a lot of articles over the last ten years lamenting that fact. We don’t buy the same things as previous generations, prefer experiences over objects, freelance and job-hop rather than stick to the same job for 20+ years, love technology over non-tech stuff, etc. etc. This difference applies to RV living, too! More and more millennials (and Gen Z) are moving towards living a full-time RV life, dropping out of mainstream society, starting their own businesses and traveling the country. Just look at how many new #vanlife videos pop up on Youtube every day! This naturally led me to thinking about the differences between what millennials might want from an RV park and what RV parks are actually providing right now. We’re more likely to carry around a lot of technology, for instance, and we’re more likely to have businesses and jobs centered around the internet. Therefore, we need great wifi access! And, y’know, RV parks are generally not known for their great wifi connection! Furthermore, more and more people are trying to save money on their RV trip, which means more boondocking and less RV park-ing. No single park is going to be 100% perfect, but some parks are getting closer to hitting the goal. Some KOA parks, for instance, have really great perks like free breakfast, community centers, laundry facilities, and more. If a modern RV park wants to attract the thousands of millennials who are taking to the road over the next few years, they need to offer AWESOME benefits that make it worth the price of admission. Here’s what I think they need to have in order to do it. More and more RV lifers are making a living from the internet. We have blogs, Etsy stores, Youtube channels, and more– we NEED a strong wifi signal, with good upload and download speeds. It needs to be free or cheap, and it needs to be available no matter where you’re parked. I have read SO MANY stories where people have CANCELED their bookings because they can’t get a strong wifi signal in their RV park. They’re literally leaving and moving somewhere else, because they NEED an internet connection to work. This is a HUGE problem for RV parks, and it needs to be fixed ASAP. It’s not just singles or couples hitting the road: lots of families are getting out there and having adventures. A kids’ area with games, a playground, and cozy places to hang out could be a really great feature for families who want to get out of their RV for a few days. How great would it be if an RV park hosted group tours for nearby tourist areas? Maybe take people canoeing down a river, or check out the local museums. Heck, even hosting a few wine and cheese events in a central community space would be cool! Hotels do this all the time– why not RV parks, too? This could be a great opportunity for local businesses to partner with the park and offer special tours, discounts, and bookings for people who stay there. Because I’m business-minded, I think it’d be great to have a public printing/copying/scanning center available. Perhaps someone to take our mail for us, or even just free envelopes and stamps. Maybe even a private office we can use for video conferencing! But there’s tons more nice stuff that an RV park could provide: free coffee or tea, a fruit basket, public computers, a lending library, borrowable bicycles, maps to local places to see, coupons/discounts to local places, a DVD library, and laundry facilities. Honestly, the sky’s the limit. The more extras a place has, the more people are likely to book there, because they feel like they’re getting their money’s worth. Don’t you think? This one is probably the hardest– RV parks need a lot of space, and nicer locations command higher land prices. However, people are way more likely to pay for something that’s in a really nice location anyway, so if an RV park can swing a great location AND include a bunch of nice amenities, they’d be set. 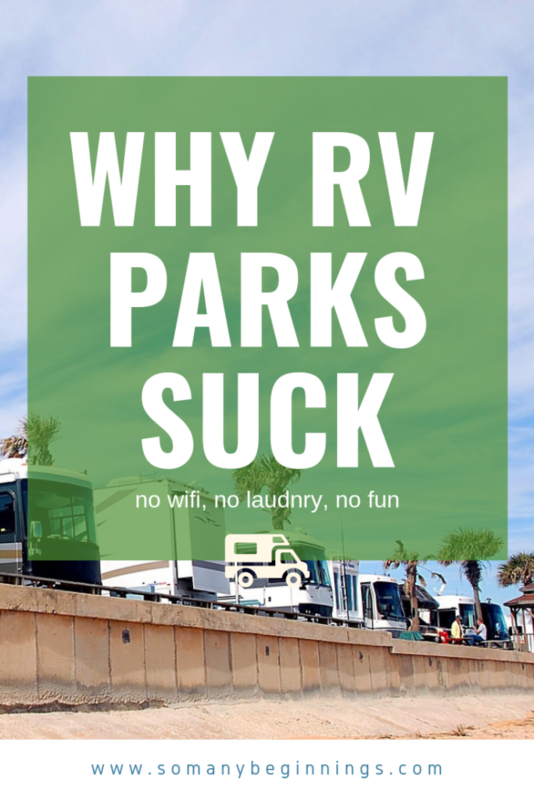 Another issue with RV parks is that the smaller ones tend to cram RV spaces together. Gotta fit as many people as they can! However, this can make visitors feel really uncomfortable. Nobody like feeling like they’re in a sardine can, and tightly-packed RV parks are usually only so-so re: amenities and perks. Larger parking spaces, or positioning spaces to be less toe-to-toe, would be fantastic. And if they can figure out a way to put, like, tiny walls or awnings or something between spaces– even better. I mean, this kind of seems like a no brainer, but some RV parks legit don’t have ANY online booking. They tend to be more mom-and-pop places, which can be really interesting to stay at. However, many techy millennials balk at staying somewhere without the option to book online. It also sends a signal that the park may be way behind the times. Unfortunately, this leads to other assumptions like: ugly, outdated, boring, not worth staying at, etc. It’s also be great if a park was part of a discount program like Good Sam or Escapees! Coupon codes are GOLD, and easy to use on a website while booking a stay. My hope is that as more younger generations start traveling full-time, RV parks will adapt and change and improve. They need to offer perks and amenities, make it easy to book a stay, and encourage communities to form and develop within them. I’m looking forward to checking out different parks once I hit the road myself. If you know of any parks which are particularly good, please drop a comment below! 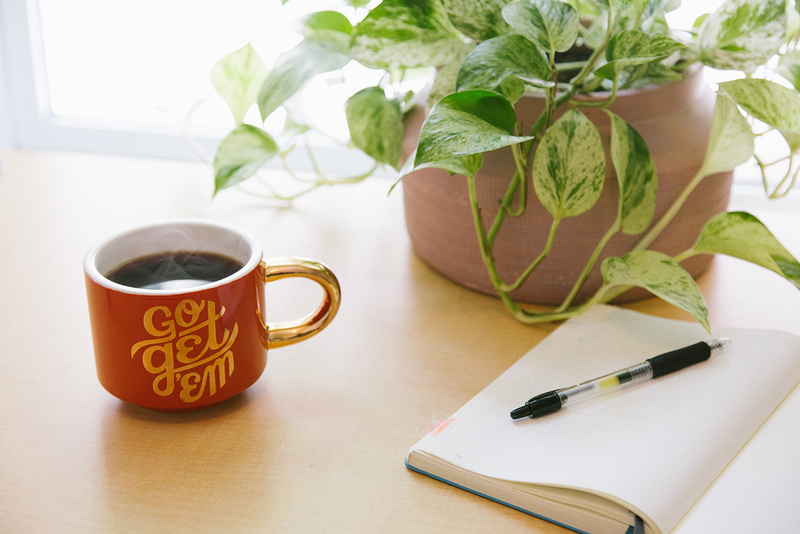 Sign up for my newsletter and get updates on my RV journey, as well as access to my resource library stuffed full of great tips and tricks for fulltime RV living. No charge. Unsubscribe anytime. Your info is secure! I’m Anastasia, a librarian, genealogist and traveler, (soon to be) living and working in a RV full-time! I’m new to the adventurous life, being a homebody and general scaredy-cat. By blogging about my “one step at a time” approach to full-time RV life, I hope to educate and inspire other scaredy-cats into going on their own adventures. Be sure to subscribe!